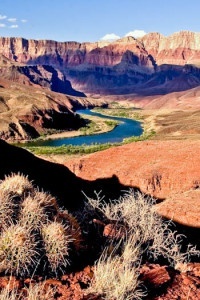 The scenery is so spectacular every inch of the way along the Colorado River. 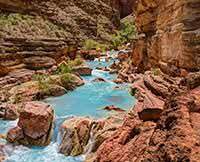 This Grand Canyon rafting adventure is a trip to be treasured the rest of your life. The meals were excellent and would be even more so if yogurt was included. The Western River guides were outstanding: Evan, Wren, Ben, and Sam worked well together and provided a safe, educational and fun trip. They worked hard to make it a great trip for everyone. Thank you guys.